By Humza Mehbub in Mobile. Updated on May 8, 2018 . One of the greatest reason why iPhone, apart from its amazing features and aesthetic design became so popular is because of the vast number of applications iTunes store has to offer. 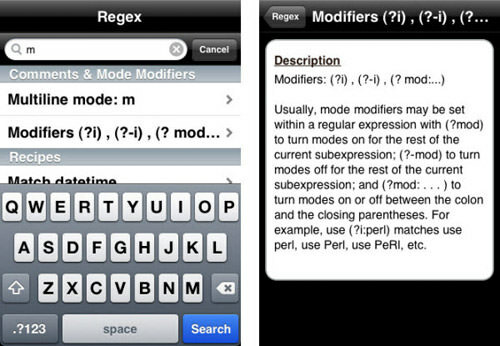 Even for web workers like designers and developers who rely heavily on computers and laptops, there are tonnes of interesting applications that may come in handy in your iPhone. If you have some time to kill and feeling a little adventurous, how about checking out these interesting iPhone apps for designers and developers we’ve compiled? From database app for developers to color apps for designers and some apps suitable for both, here’s 20 Fresh iPhone apps for Designers and Developers. Full list after jump. 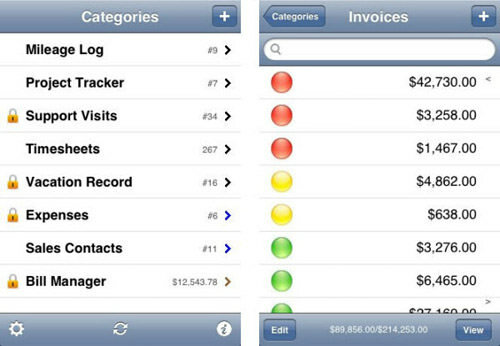 Database Viewer Plus allows users to open up their Windows-created database on their iPhone, and create tables, queries and even forms for them right on the iPhone. Not only that, it has the capabilities to sync with complex database software like Oracle, SQL Server, etc. A web developer can use this application to easily transport and even edit any database he is working on for any application or software. You would need to download their desktop software also, which in turn would allow you to access the database files on your computer from any place or location as long as you are near to a Wi-Fi router or internet connection. 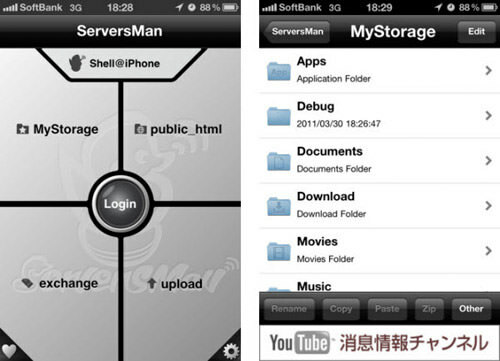 Network Utility is an application suited well for server needs. It allows users to check on their website domain server status to ensure that it is still working. 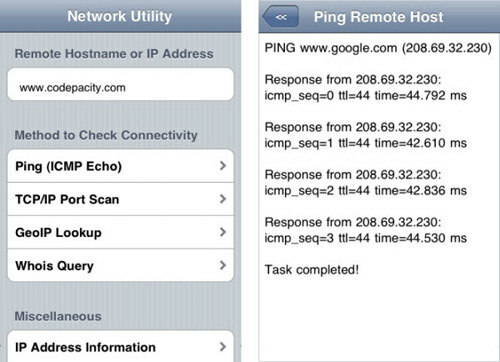 You can easily ping your website server from any location, without being in front of the screen every time! Now, checking your website status is just a tap away. You can also have a look at your IP address information extracted from the website address, for sure there is no private or confidential data that can be seen. As the name of the application suggests, it’s all about analysis. 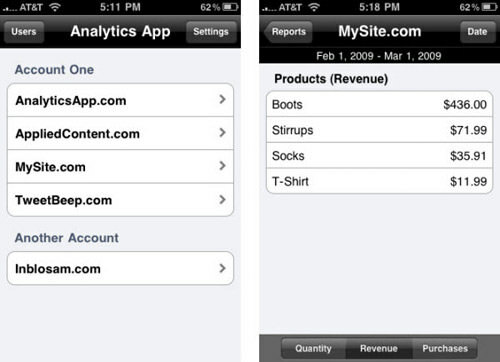 The user is given easy access to Google Analytics comfortably from their iOS device. Users can easily look at the Google Analytics’ statistics of their own website, allowing them to be more productive and make their website more effective in its own services. It does not matter if you are professional web developer or an uprising developer, or maybe you just wanted to have a peek inside the field. Well, this PHP cheat sheet is definitely good for everyone in and outside the field, regardless of their experience. 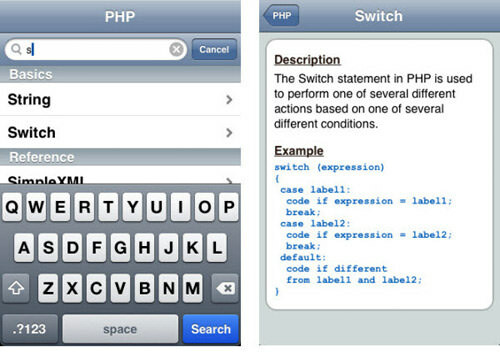 If you are encountering any problem during the PHP phase of your project, and want to have a look at a few commands and PHP syntax, this app will provide you the information with example in the blink of an eye, so that you have an idea of how it works. This application goes a notch above your regular cheat sheet. Not only does the user has the permission to look at few commands and syntaxes, the web developer can also test them inside the app, and even test other self-created syntaxes to see if they would function as what they expected. The application serves as a library to many vital cheat sheets, including cheat sheets for famous language like PERL, Java, PHP, Python, and more. This is a simple toolkit that will come in handy especially when you are coding a website, or any software. You are provided with the Unicode or UTF-8 character code for any symbol you want. 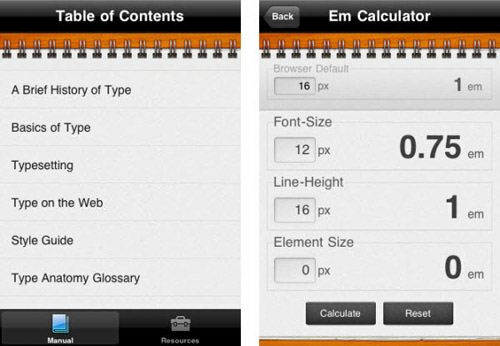 A simple, yet helpful built-in calculator allows for calculations to be made at a fast pace unlike any other calculator! 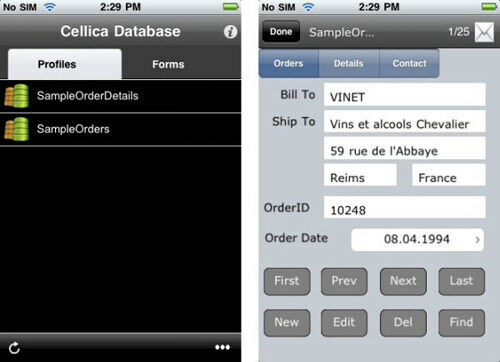 StoreIT is another database creator for the iOS device which allows a database to be stored and carried out, with the ability to edit the database. This application also gives a few more complex features for users, which include the ability to password protect specific category that may contain confidential and private data (address, contact number, email id, etc). There are a few built-in themes and templates ready inside the application for you to get started with. However, if you don’t like them or they don’t suit your need, you can always create a new one. This application allows your iPhone to be converted into a small, portable flash drive. You can store your data into it and take it with you wherever you want to go. Really good for people on the move, or for those people who do not want to spend more money on just getting a flash drive yet need to get their work transferred from their homes to their work office PC. The Internet is boring without colors, but then again it really is an eye killer if your eyes are bombarded with a million of rainbow colors at the same time. That is exactly why web designers need to choose the most effective color for their project, which will not only attract the peers to the website, but less disturbing at the same time. When a web designer is working with CSS, HTML, Flash or any other language, he will spend quite some time searching for that perfect color. Cliqcliq Colors allows the designer to create a color palette according to the need of the user, then provides HEX code which the user can easily utilize it into the coding. 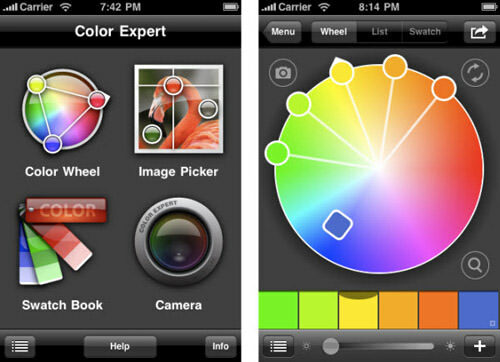 Color Expert is another color extraction and production application. 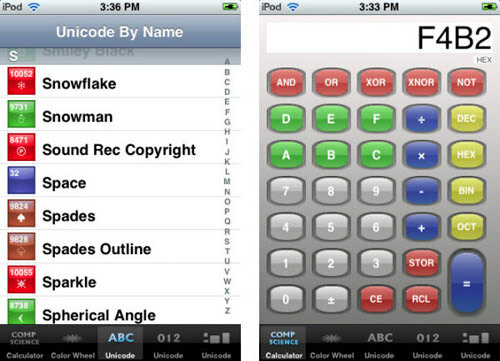 Just like the Cliqcliq Colors, the application provides HEX codes of the color that the user has chosen. 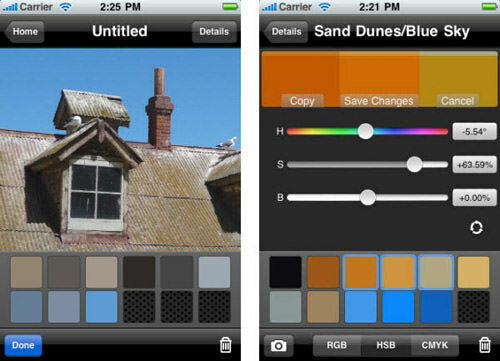 The user can also choose to pick the color out from a photograph or image that is stored in the photo albums in iOS storage. Apart from the default colors, you can also check out the color palettes of PANTONE solid coated, solid uncoated, PANTONE goe coated, uncoated, HTML, Web Safe colors and even the library for Lab and CMYK colors. There are a few things a designer cannot live without, which are brushes, paint and ruler. 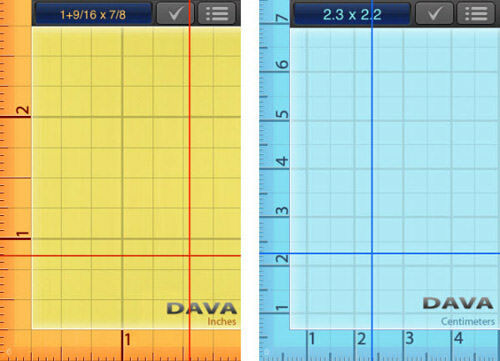 Ruler allows your iPhone to be converted into a portable ruler that is more accurate than your typical hand. The measurement is very precise so I don’t think you’ll need to worry about carrying a ruler again, especially when you got one in your iPhone, or any other iOS device. Text is the second best thing a user looks at when surfing the web. If a website has a good set of colors but not a very good typography, it would reduce readability, thus reducing site traffic. The Typography Manual is for every designer. It teaches the designer the every bit about typography and what makes the text looks readable, crisp and attractive. This is one amazing book that lets you read on the new concepts introduced in the web design, such as the introduction of HTML 4.01 and new XHTML concepts. 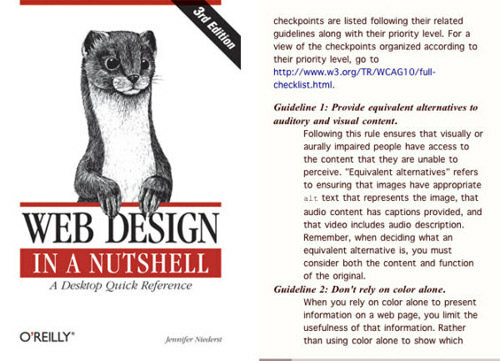 This is a ‘must’ read as you really don’t want to create a website with old school design and also code that are not compatible with major browsers. The book also tells you of how you can make your website more efficient and this is exactly where the role of a designer comes in. 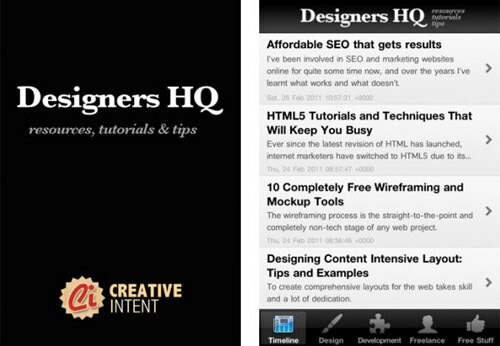 The application is a mobile version of a small forum, or community called “Designer HQ” where the user can find loads of information regarding design, tutorials, tips, tricks and free stuff for use in their design. The application takes content from many major web design site, Smashing Magazine for example is the one of many others. This is an amazing app for designers who really need to sketch something fast in the most precise manner. A sketch has to be made quickly before it is forgotten in the most precise manner so that it may be understood later on when needed. 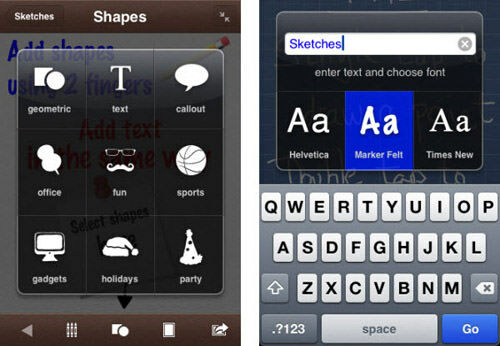 Sketches allow the user to do this as it provides the user with features that are unmatchable by any other application for iPhone. Features like clip-art, artistic brushes, and shapes make sketching really lightning fast! Have you come across a font that you don’t recognize, or a font that you want to use on your next design but can’t get to know the name of it? Well then, WhatTheFont can help you recognize the font by tapping a photo of the font through the native iPhone camera, which the application will then process and display fonts that match it the most! 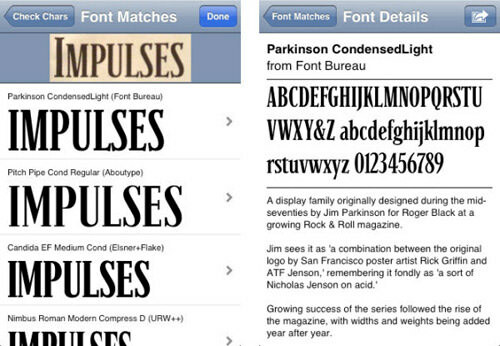 The fonts are searched from the directory of MyFonts, so you can hope to find the font soon since their library hosts the world’s biggest font collection. Here are some apps that go along with both occupations – whether you are a web designer, or a web developer, it doesn’t matter. 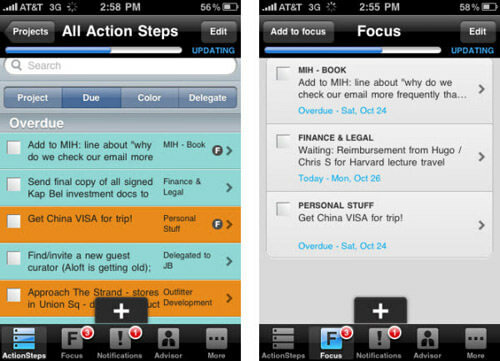 These apps are something that will help both careers in a way that will really boost your work productivity. This application is something simpler and more user friendly than the native Safari browser. As the name suggests, it allows the users to surf the internet on a full screen mode, without any tab or address bar blocking your view. Full surfing experience can be achieved by this app – really good for web designers who want to look at the design of the entire website, or for web developers who may need to see how a design looks so that they can code it that way. ACT Printer is a really good app especially if you are being environmentally friendly, which means you don’t want to waste any more paper. 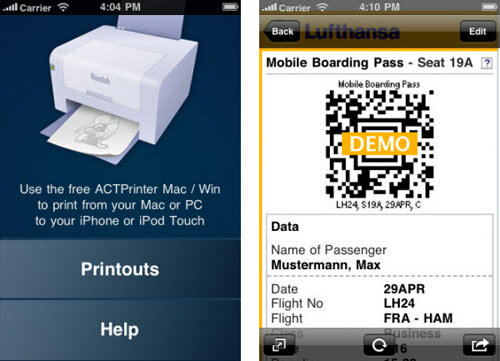 The application allows the paper to be printed into the iPhone instead of a printer. When a user is printing a document, he can choose the option to ‘Print to iPhone’ which will cause the document to be soft-printed onto the iPhone instead. This also makes your work more secure! Action Method is an application that allows you to create tasks by projects so that your work proceeds in a mannerly and organized fashion. This application is a must-have for every web developer and web designer that has undertaken an assignment from a client and needs to finish things before a deadline. This app will allow the user to break their tasks into different, smaller and less stressful tasks allowing the developer or designer to work more freely and finish the work before the deadline.